LULL BEFORE THE STORM? : A calm bay fit for a stroll in the afternoon. The calm, salty sea of San Miguel bay kiss the breakwaters of Sabang, Sibobo and other shoreline villages of Calabanga in a clockwork manner. So much unlike as those that brought a devastating tsunami caused by an earthquake that hit the Japanese prefecture of Fukushima and surrounding areas last Friday. The disaster unfolding on television screen was enough to send quivers on this writer’s spine. Disaster and emergency prepared will play a major role on the safety and lives of coastline inhabitants of the municipality where majority of families are marginalized and poor fisherfolks. The Philippine government lifted the tsunami alert in the country’s eastern coastline with the areas spared from the ripple effect of the magnitude 8.9 earthquake in northern Japan, late Friday. Less than a meter-high waves traced to the tsunami had hit some coastal provinces. 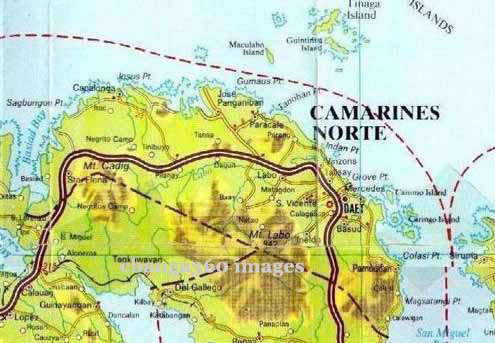 At 6:00 p.m., the Philippine Institute of Volcanology and Seismology reported that waves of about 0.6 meter hit the town of San Vicente in Cagayan province, with the highest at about 0.7 meter recorded in Virac, Catanduanes province at 7:50 p.m. The tsunami warning had been raised in the following areas: Batanes Group of Islands, Cagayan, northernmost areas of Ilocos Norte, Isabela, Aurora, Quezon, Camarines Norte, Camarines Sur, Albay, Catanduanes, Sorsogon, Northern Samar, Eastern Samar, Leyte, Southern Leyte, Surigao del Norte, Surigao del Sur, Davao Oriental and Davao del Sur. In five provinces in Bicol, at least 34,300 families were allowed to return home after authorities declared the tsunami threat over. This entry was posted in BICOL NEWS NOW, NEWS, WEATHER STORIES and tagged Calabanga, Sabang, tsunami. Bookmark the permalink.